Nonreinforced concrete pipe for the conveyance of sewage, industrial waste, and storm water is made in sizes from NPS 4 to NPS 36 (DN 100 to DN 900). It is produced in accordance with ASTM Specification C14, Standard Specifications for Concrete Sewer Storm Drain and Culvert Pipe. Nonreinforced-concrete drain tile is used for land drainage and for subsurface drainage of highways, railroads, airports, and buildings. It is made in sizes from NPS 4 through 36 (DN 100 through 900) in accordance with ASTM Specification C412, Standard Specification for Concrete Drain Tile, and AASHO M178, Standard Specification for Concrete Drain Tile. Drain tile is available in the standard quality, extra-quality, and special-quality classifications. Perforated concrete pipe used for under-drainage is made in accordance with ASTM Specification C444, Specifications for Perforated Concrete Pipe. This pipe is also made in sizes NPS 4 through 36 (DN 100 through 900) and is available in the standard-strength and extra-strength classification. Concrete irrigation pipe, used for the conveyance of irrigation water under low hydrostatic heads and for land drainage, is made in sizes NPS 4 through 24 (DN 100 through 600) in accordance with ASTM Specification C118, Standard Specifications for Concrete Pipe for Irrigation or Drainage. Nonreinforced-concrete irrigation pipe for use with rubber-type gasket joints is made for conveyance of irrigation water at water pressures of 1 bar (35 ft of head) or higher depending on the diameter. Such pipe is made in sizes NPS 6 through 24 (DN 100 through 600) in accordance with ASTM Specification C505, Specifications for Nonreinforced Concrete Irrigation Pipe with Rubber Type Gasket Joints. Physical and dimensional requirements of standard-strength bell-and-spigot non-reinforced-concrete sewer pipe are tabulated in following table. Jointing. Rubber-gasketed joints for C14 and C76 pipe are covered by ASTM Specification C443, Joints for Circular Concrete Sewer and Culvert Pipe, Using Flexible, Watertight, Rubber-Type Joints. Reinforced-concrete pipe may be made with either tongue-and-groove or belland-spigot joints. When made for use with rubber gaskets, the joints must conform to ASTM Specification C443 or AASHO Specification M198, Specifications for Joints for Circular Concrete Sewer and Culvert Pipe, Using Flexible Watertight, Rubber-Type Gaskets. In each of the standards covering reinforced-concrete pipe, five strength classes are defined in terms of minimum three-edge bearing load at a crack width of 0.01 in (0.25 mm) and at the ultimate strength of the pipe. 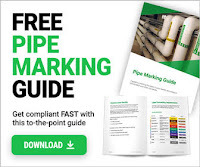 The strength class required for a given installation is determined by computing the earth load and live load which will be transferred to the pipe under the conditions anticipated. This load is then converted to an equivalent three-edge bearing load by dividing it by a bedding factor. The bedding factor depends upon installation conditions and is always greater than 1.0. Cement-lined pipe is well established for use in cold-water lines. Substantial quantities of cement-lined steel pipe are used for other applications where corrosion is more of a problem. The largest user, by far, is the petroleum industry in oil field flow lines, pipelines, tubing, and casing. Cement-lined pipe is particularly suitable for these applications because of the presence in the oil fields of saltwater, hydrogen sulfide, carbon dioxide, and other corrosive material. Other applications include lines in salt works for handling brine, discharge lines in coal mines for carrying highly corrosive sulfur water, lines in paper and pulp mills for handling diluted acids and corrosive waste liquids, and lines in process plants where water or other liquids must be kept free from iron contamination or rust. Cement-lined pipe is generally joined with screwed seal rings which prevent the corrosive liquid from coming in contact with steel. Flanged joints are also extensively used. Some prefabrication is done of piping assemblies involving welding of the steel joints. Field joining of the preassembled welded assemblies is then done with flanged ends. Cement of course must not be at the pipe ends being welded. After welding, these ends are filled with mortar.